Just wonder if Superpowerd supports general Linux sound stack ALSA, like on Raspberry PI board? Does Superpowered SDK support inter-app iOS function? Does the iOS class supports audio input? Please tell me more about reading the mic input? On iOS Is there any way two microphones can be accessed? Is there anyway to use the other microphone instead of the previous one ? Are Superpowered and Core Audio are mutually exclusive? 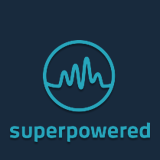 Can I use the Superpowered SDK to grab samples from a built-in Android or iOS microphone with low latency? How can I use the same code (FrequencyDomain.cpp) to read mono (single microphone) audio input? I'm developing a professional audio application for Android and iOS and am using the publically downloadable Superpowered library. Is the Media Server the best solution possible on Android? If I installed superpowered media server, will most Android apps use it? If I were to make my one USB mic, how would I ensure your system accepts its input? Is it possible that the user can play a piano and hear it with the lowest latency? Do you offer any support for Bluetooth Audio? Can I change the buffer size? Can you give me an idea of what you are doing for Android USB audio? Can your solution help to solve synchronization problems between music and recorded voices in various android handsets? Do you have some experience with Viper4Android? Does Superpowered USB audio only operate within the USB stack or can the TRRS jack be utilized with the SDK as well?